For many crafters, your crafting space is often limited, in some cases just a closet or a folding table in an already-purposed room. Since your craft space is your inspiration, it is imperative that your space be organized so that you can easily find your treasures. 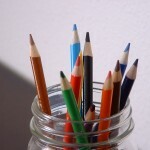 Inspiration and organization can be brought together using items from around your home. 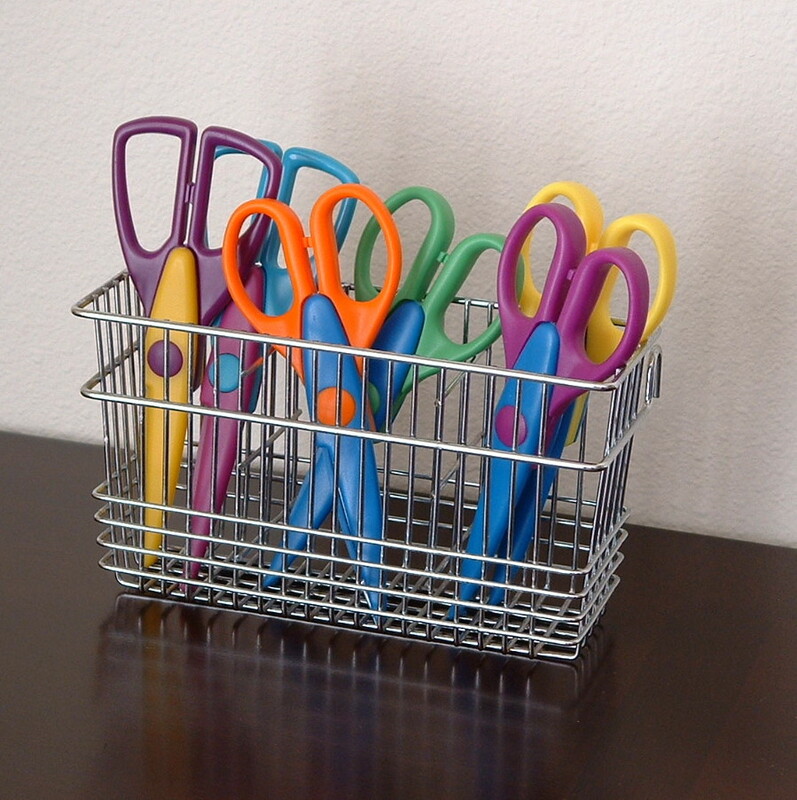 No need to purchase expensive organizers, you can make your own using the following suggestions. 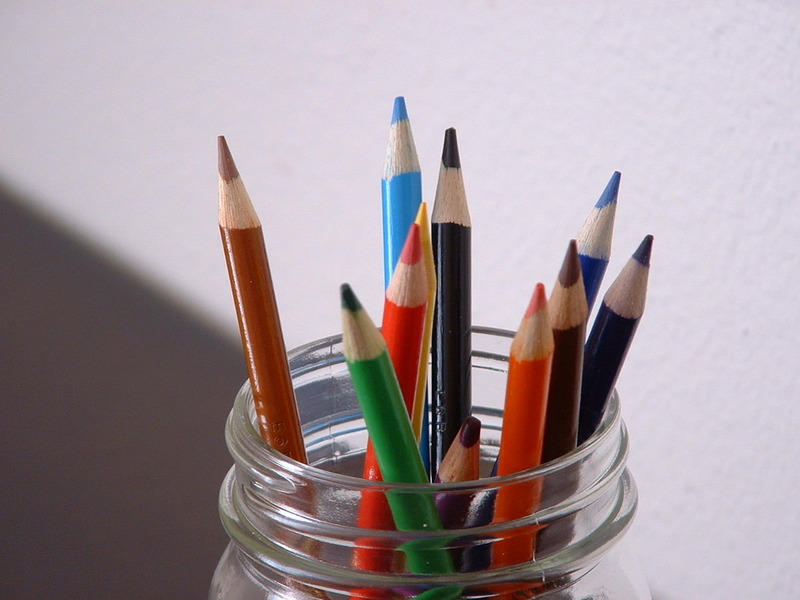 Try displaying your colored pencils in an old mason jar on your desk or table. 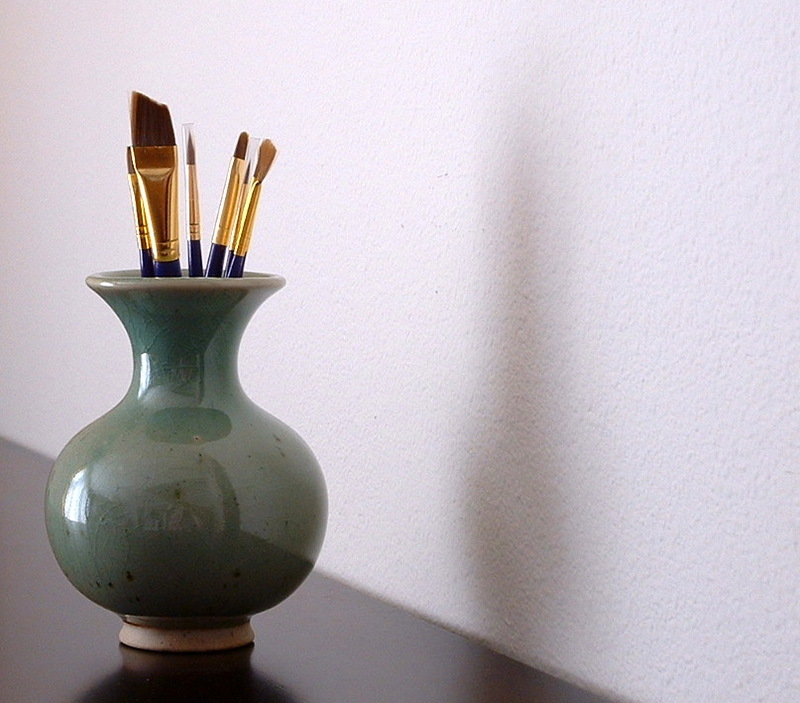 An unused vase can hold paintbrushes or pens. Your beads, brads, and other small embellishments can be stored in upcycled makeup containers, spice jars, or medicine bottles. 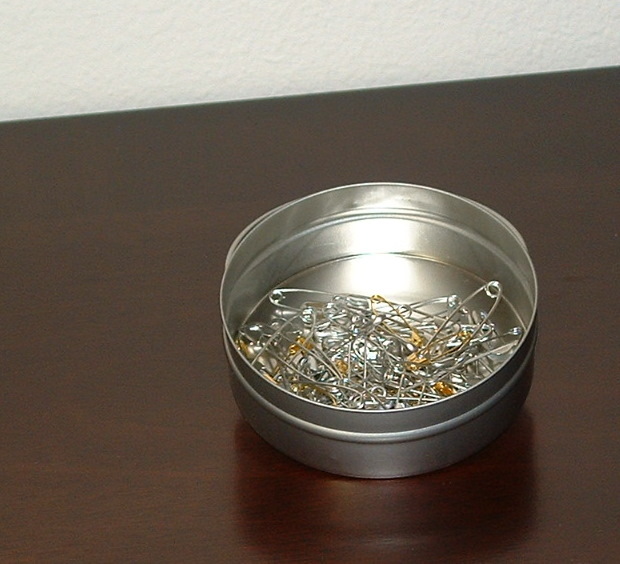 Tins are great for holding everything from buttons, snaps, needles and safety pins. 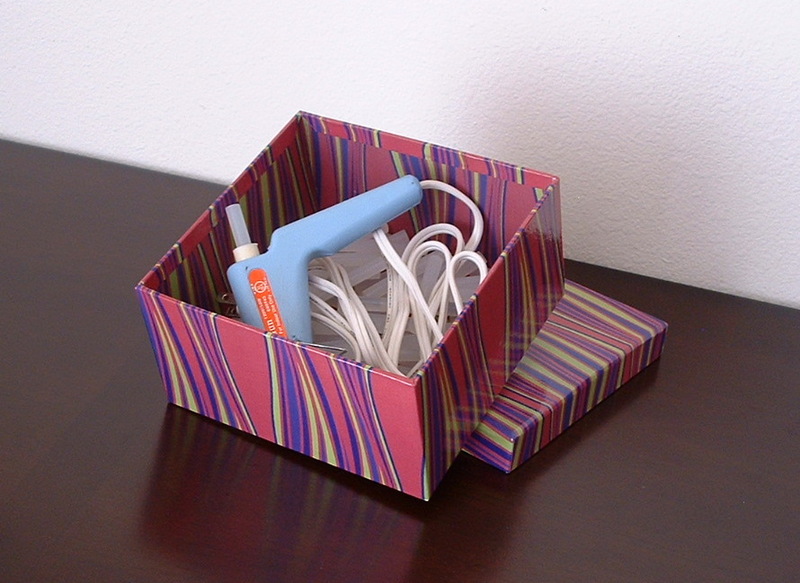 Have a spare shoe box?–wrap it and store your stickers, tags and other scrapbooking supplies. Use totes with a zipper to organize and store knitting projects and keep unwanted pets out of your prized project. 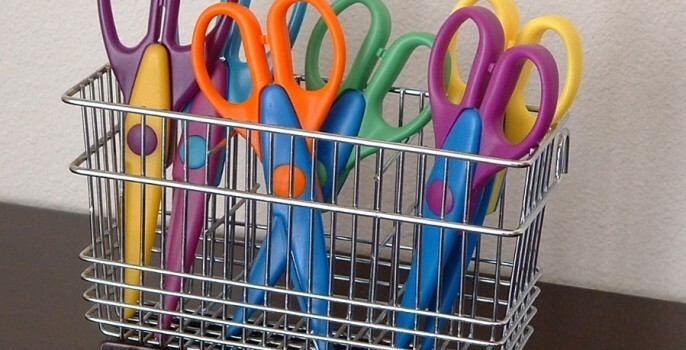 A flatware caddy can hold your scissors for easy access. 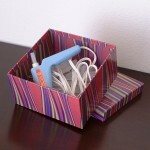 Gift boxes are both decorative and practical for storing glue guns, hole punches, stamps, and ink pads. 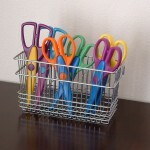 Paper, photo boxes, baskets and other larger items fit perfectly into shoe cubbies. 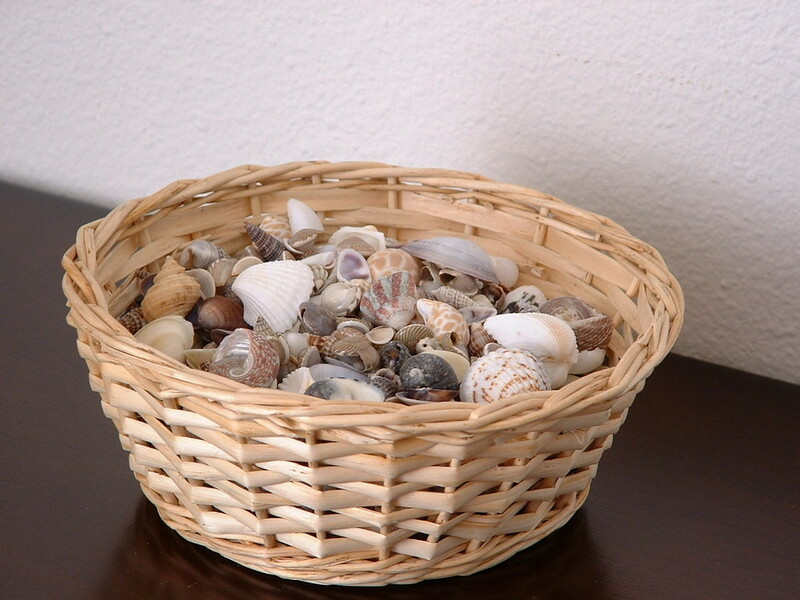 Baskets are both useful and decorative. 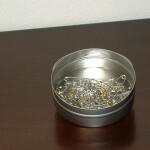 Try storing buttons, shells, or stamps in these. 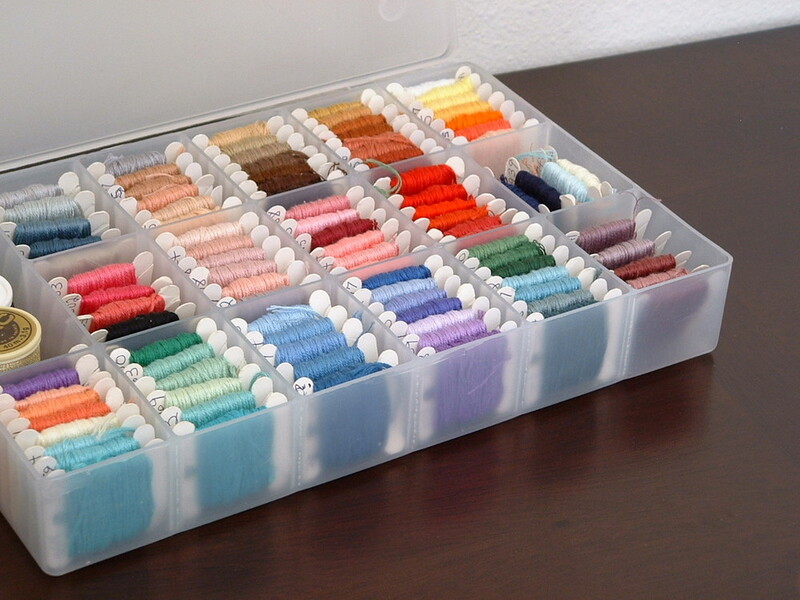 Craft organizer boxes can serve a variety of purposes from storing beads, embroidery threads, small embellishments, wire, sewing supplies and more. You will want to make sure that if you wish to store loose beads and you wish to travel with this organizer, that you get a container specific for this purpose–if not, your carefully classified beads may become jumbled on your next trip away from home. 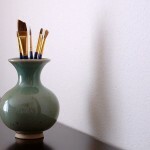 Not inspired by the items in your home? Looking for wall mounted and desktop storage?–Look no further, Jetmax Embellishment Center & Desktop Carousel has both. 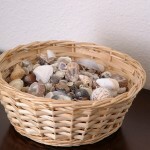 For decorative ways to keep your photos organized and out of sunlight look to Recollections Photo Craft Storage-Boxes. These come in a variety of colors and styles to suit your preferences. These would work great in a shoe cubby. Need a way to store that 12″ x 12″ scrapbook paper?–Find Recollections Scrapbook Paper Storage Boxes. This desktop carousel holds many items without taking up a ton of space Revolving Carousel with 28 Holders. Wanting something that you can change up as you go?– This multiple configuration, wall mounted storage unit is simple and stylish Storage Solutions 1592S6 12-Piece Organizer. If a sturdy wood organizer to match existing furniture is your taste check out Making Memories Wood Desktop Organizer. Storage solution and desk in one that folds into an armoire–Craft/Sewing Machine Cabinet Storage Armoire Organizer Drop Leaf Table. The grandest of them all. This unit is a beautiful piece of furniture as well as craft/sewing storage and organization–Scrapbox.